Harrison Human Resources helps SMEs with managing their staff. 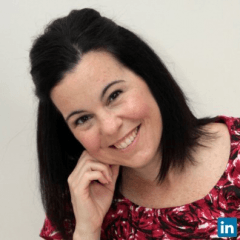 Claire has nearly 20 years of human resources, workplace relations and workplace health and safety experience including working as a senior HR manager across both private and public sectors. Claire’s in-house experience has been gained in large organisations, including: ABC Learning; Action Supermarkets; BHP; Fonterra; Mayne; and Redland City Council. Claire's qualifications include Bachelor of Bus, Grad Cert App Law, Dip OH&S.